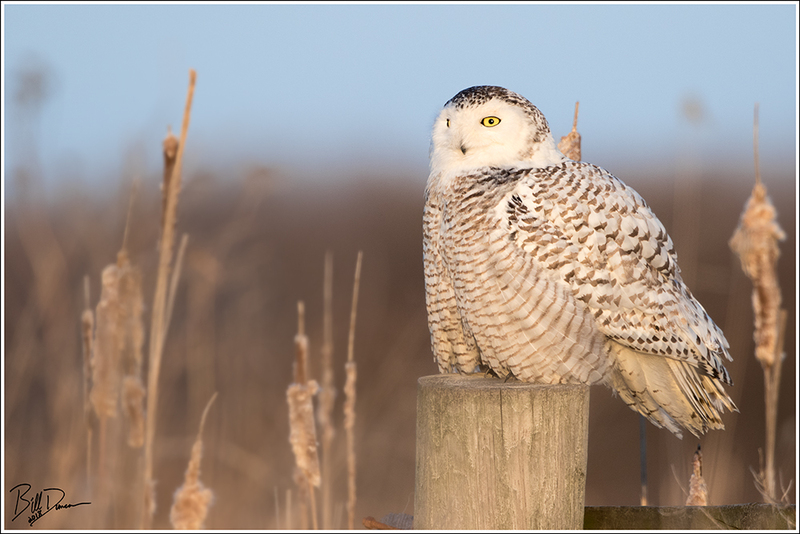 A huge thank you to Danny Brown, without whom I most likely would have stayed at zero Snowy Owls for the great Snowy irruption of the 2017/2018 winter. 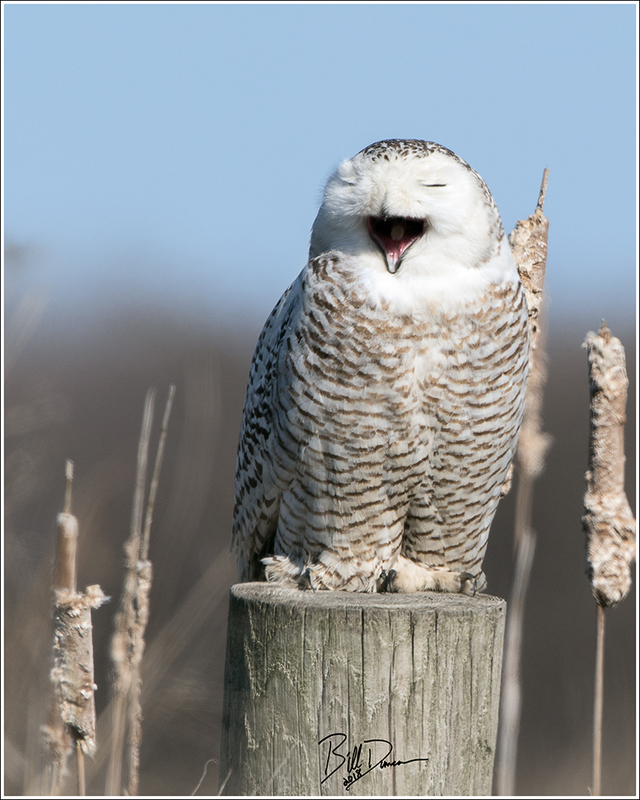 Because of travel and just poor luck, I had missed out on finding the Snowy Owls that had salted the state this winter and would never have imagined that we would have another chance a week into April. But, since the weather to date suggests little of spring, I suppose we should have not been too surprised. The birding on Saturday was seemingly great everywhere and Steve, I and others were having good luck finding interesting species at RMBS when we received the messages from our phones about Danny’s find. I think Steve and I would have been satisfied with our usual views from a football’s field or two away, but were ecstatic to find the bird perched at an optimal viewing distance, resting after a nice meal that others had documented earlier in the day. We left the bird still on its perch shortly after sunset. On the way out of the conservation area we had a Short-eared Owl and American Bittern flyovers. Thanks again, Danny. Unimprovable. What a day. Thank you, Bill! Great seeing you and Steve. 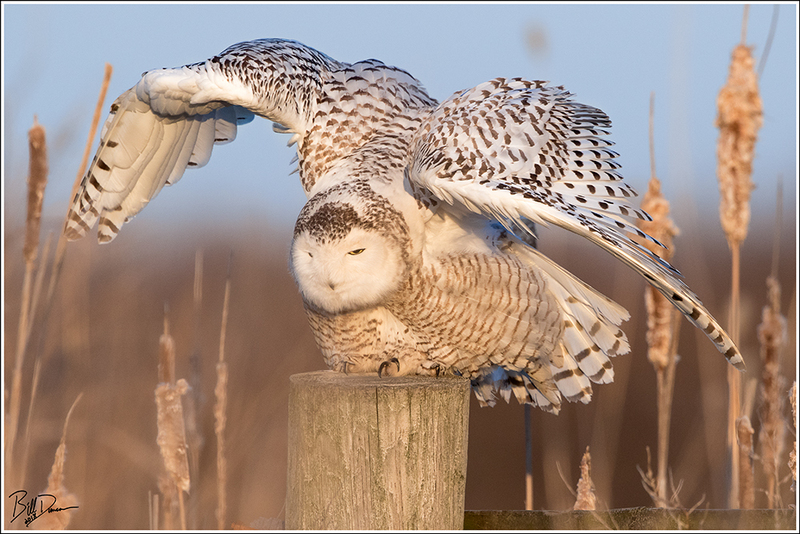 Glad you were able to get some awesome images of this cooperative Snowy Owl. Thanks! I’m glad we were all able to get some great pics.